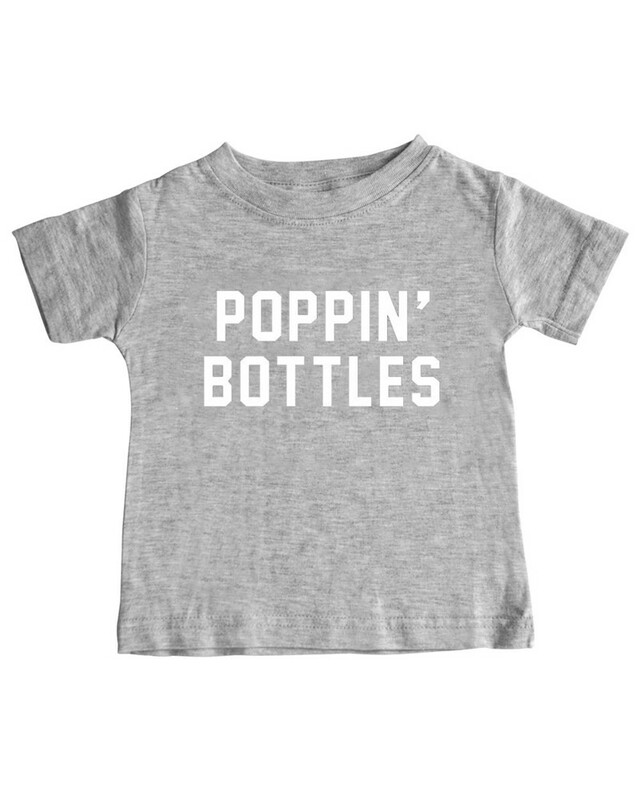 Baby sized cotton tee with with "Poppin Bottles" print. Cotton. Available sizes are 4 (tee width 14 inches, length 17 inches, sleeves 13 3/4 inches), and 5/6 (tee width 15 inches, length 18 inches, sleeves 16 inches).